You may just bought Nokia XL and you still do not know how to install Google Play Store on your smartphone. You need to know that there is no access to Google Play Store directly from Nokia but this smartphone offers side-loading of android apps from any third-party source such as SlideME market, Aptoide, Yandex Store, and 1mobile market. However, even though there is a direct access to Google Play Store, it is possible for you to install Google Play Store on your Nokia XL. You are able to do that by rooting your smartphone first. It means that you will be given root permissions on the phone. By doing that, you are able to run apps that ask access to certain system settings and the ability to flash custom ROMs to the phone which can add extra features. Now, you will root your Nokia XL and to do this you will be asked to enable USB debugging on your smartphone that can be found in Setting’s Developer option. Tick the USB debugging box to perform rooting process. Then, download a rooting app and here we will use Farmaroot.apk. Go to the Farmaroot.apk folder in your Nokia XL and then click the apk file and it will begin the automatic installation of the app on the phone. If the Farmaroot has installed on your Nokia XL, select the app icon to install SuperSu. To install, you have to open SuperSu file and select the Gandalf exploit which is a dropdown option in the Farmaroot app. If the installation is done, you will get a success pop up message on the screen. Now, reboot your Nokia XL for completion of the rooting process. After rooting process is done, now you have to download the Google services APKs on your Nokia XL. After that, you will be asked to extract all the Google APKs. To do that, you have to download a root explorer app on your Nokia XL which is a file manager for root users. To do this, go to the folder where you stored the Google APKs and choose all the files. From menu, select the option extract all. At this step, do not install the APKs. The files will be stored on to microSD card’s SpeedSoftware folder. Then, the extracted files must be moved to /system/apps folder of your Nokia XL. After that, change the permission of all extracted files in the /system/apps folder by choosing all the files that were extracted and opening the Permission option in the menu for all apps. When you hit Permission, The Owner, Group and Other options should have Read Only checked in the pop up that comes. You need to note that Only Owner should have the Write option checked. Now, you have to reboot your Nokia XL once the permission has been changed for all the extracted Google APK files. After that, you will find the Google app icons for Hangouts, Gmail, and Google Play Store among others in the app drawer. Now, you can sign-in to your Google account to access Google services on your Nokia XL and you are able to explore your favourite Android apps directly from the Play Store. 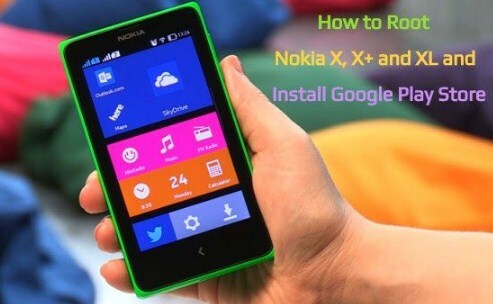 You can also install Google Play Store in your Nokia XL without rooting your phone. To do that, you are able to read another article in this site. Related Post "How to Install Google Play Store in Nokia XL"